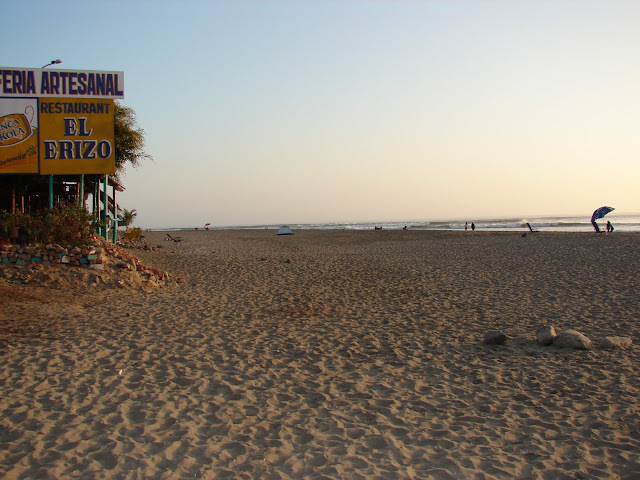 I spent a couple of days relaxing in the small coastal village of Huanchaco. 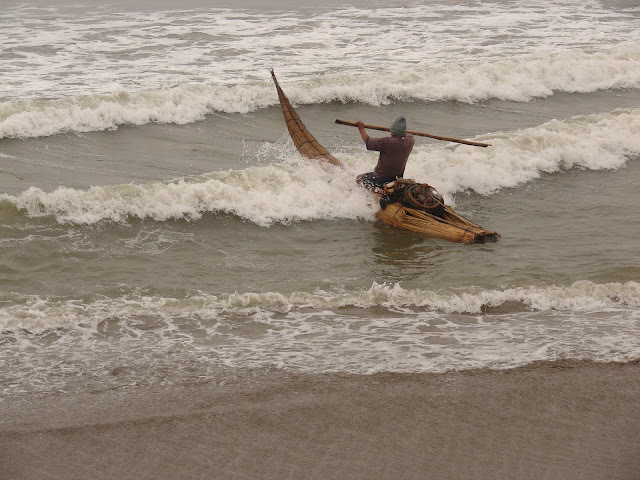 The fisherman here still use reed boats to fish in the ocean. 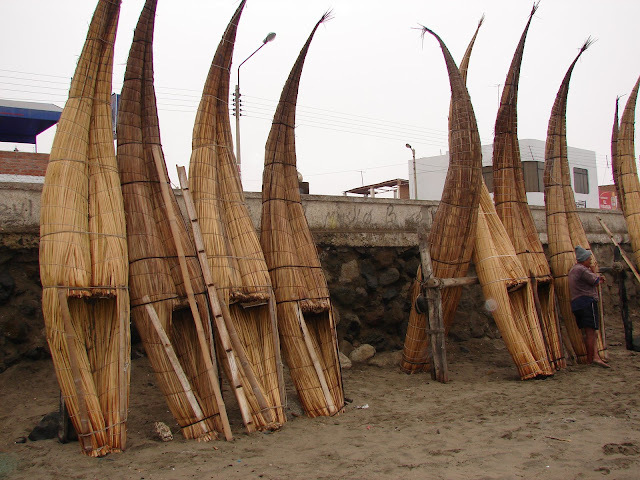 The boats are called cabillitos de tortora. Cabillitos means "little horse". 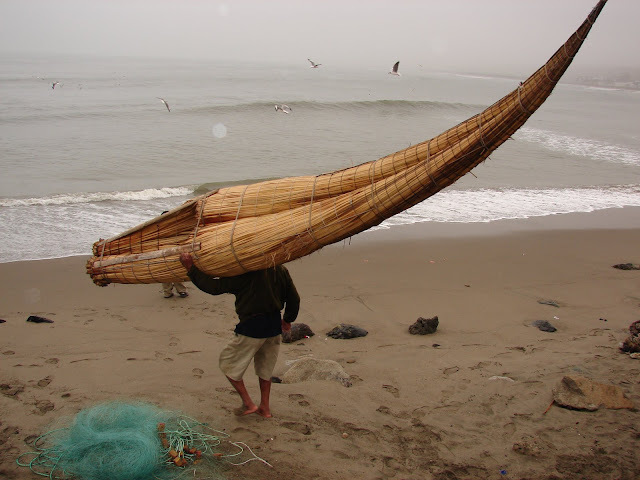 Fisherman kneel on them rather than ride in them. Nice to just relax without trying to see too many sights. 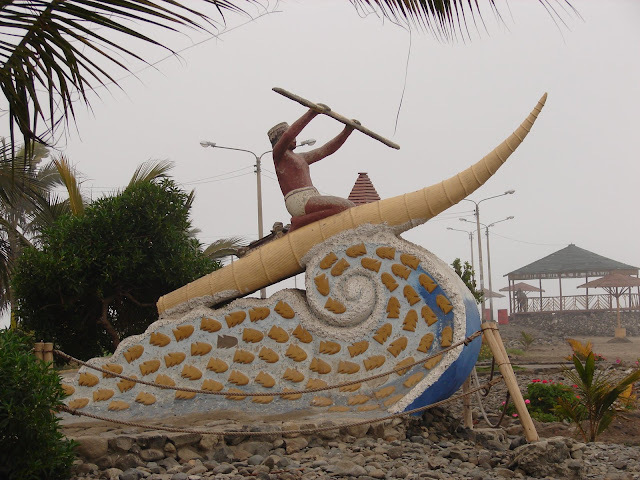 I leave on the bus from Truijillo at 11 pm and will arrive in Lima at 8 am.